Birthplace of cricket, home to the famous Arthurian Round Table and final resting place of authoress Jane Austen, that's Winchester, England's ancient capital. 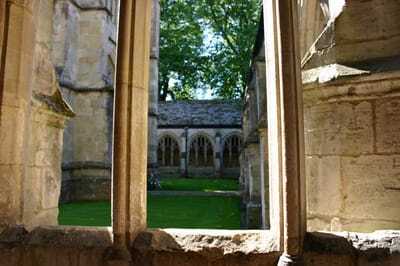 The legend of St Swithun originates here too. The remains of this one-time Bishop of Winchester were moved against his dying wishes from their resting place in a simple tomb in the cathedral grounds to a splendid shrine in the inner sanctum whereupon it proceeded to rain heavily for 40 days as a sign of his displeasure. Now, if it rains on the saint’s day - 15 July - legend has it that this will herald another 39 days of wet weather. ​However there wasn’t a raindrop to be seen, only cloudless blue skies, when I visited. Accompanied by a cacophony of birdsong, I walked alongside the sparkling River Itchen through tranquil water meadows to medieval almshouse the Hospital of St Cross, which rather quaintly still offers travellers the ‘Wayfarer’s Dole’ – a small beaker of beer and morsel of bread – just as it has done for more than eight centuries. The Hospital was founded to support thirteen poor men and feed one hundred men at the gates each day. Medieval St Cross was endowed with land, mills and farms and so able to provide for large numbers, although in those days water was unfit for drinking, so copious amounts of ale and beer were drunk instead. The thirteen men became the Brothers of St Cross and the Hospital continues to provide sheltered accommodation for older gentlemen as it has done since its foundation in 1136. Get your bearings in and around town by going on one of the local walks. ‘Keats Walk’ provided the poet with inspiration to write his famous ode, ‘To Autumn’ and who knows, may do the same for you, while the ‘Sunset Walk’ takes you off the beaten track through historic eastern Winchester and up St Giles’ Hill, a peaceful spot with fabulous views across the city, an idyllic setting for a picnic or twilight stroll. Another excellent way to become acquainted with the city is to book a tour with a Blue Badge Tourist Guide. Their love of history, sense of humour and passion for the city is contagious, encouraging visitors to return time and again. 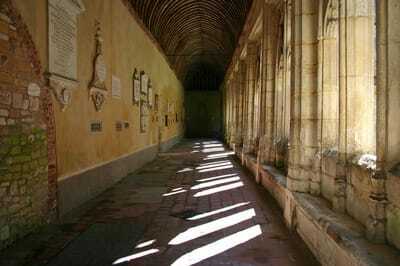 On my ‘must-see list’ was that place of worship for over 900 years, Winchester’s world-famous cathedral, where entry is by donation. This impressive building is as remarkable for its hidden treasures as it is for its spectacular architecture. In Europe's longest medieval nave, outstanding works of art vie for attention alongside the tombs of Jane Austen, Izaak Walton and early English kings. Some bells here date from Saxon times; that aquatically-inclined King Canute is recorded as having given two bells to the cathedral in 1035. The Cathedral archives list important occasions when the bells were rung, including Nelson's victory at Trafalgar in 1805 and in 1815 after Waterloo. The Winchester Bible is recognised as the finest of all great 12th century bibles due to its size and sumptuous illumination, while the equally impressive Sound II statue by Antony Gormley stands in the evocative setting of the crypt. The carved 12th century black marble font has seen baptisms galore. One of the first was probably future king, Henry 111, in 1207. For shoppers, Winchester is compact and pedestrian-friendly streets are choc-a-bloc with a tempting array of independent shops, boutiques and antiquarian bookshops, some in bow-fronted Regency or Elizabethan style buildings. ‘The Square’ is a particularly attractive corner of Winchester, with interesting shops and quaint pubs on the site of a former cattle market. Nearby Brooks Shopping Centre has all the usual High Street suspects. A bustling street market held every Wednesday to Saturday sells everything from flowers, bric-a-brac and books, to fruit and vegetables. Before returning home, I had a guided tour round Winchester College, the UK’s oldest continuously running school, first opened to students in 1393. The College owes its existence to powerful William of Wykeham, Bishop of Winchester and advisor to King Richard II. The original school had places for 70 students, as well as 16 ‘Quiristers’, or choir students. Nowadays there are over 600 students in all. The 14th century gothic chapel with its wooden vaulted roof and redbrick schoolroom designed by Sir Christopher Wren is particularly impressive, as is College Hall, the original scholars’ dining room. Its 16th century panelling, high timber ceiling, fixed benches and tables make it an atmospheric setting for dinners and themed events.